After 7 years, we won! After 7 years of campaigning together, Greenpeace supporters just ended one of the most destructive fishing methods in the Australian tuna market. And here’s how we did it. Have you heard the news? 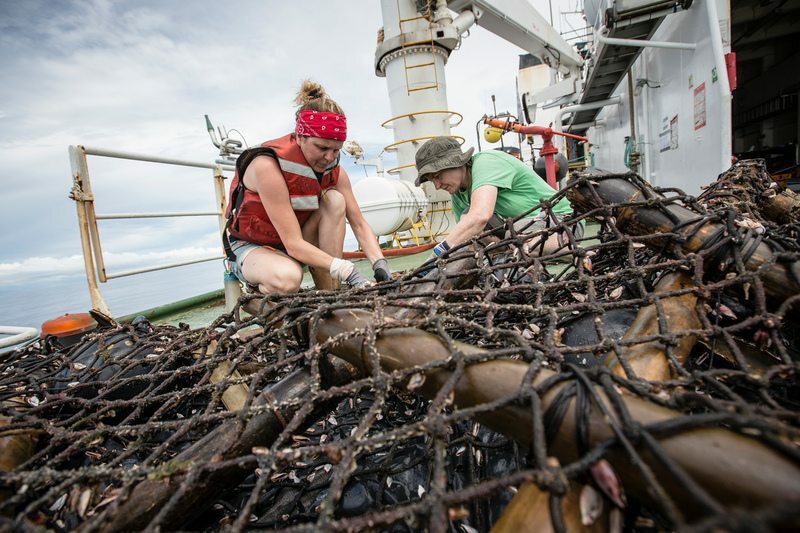 Greenseas just agreed to immediately end the use of destructive fish aggregating devices (FADs) that needlessly kill countless sharks, turtles, rays and a host of other marine life. 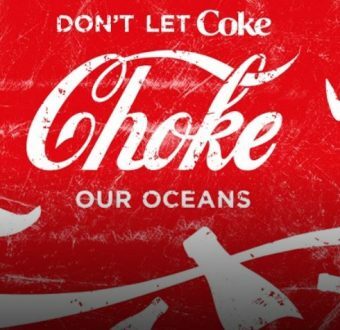 In less than two weeks, over 18,000 Greenpeace supporters emailed or Facebooked Woolworths asking them to dump Greenseas until they ended this destructive behaviour. 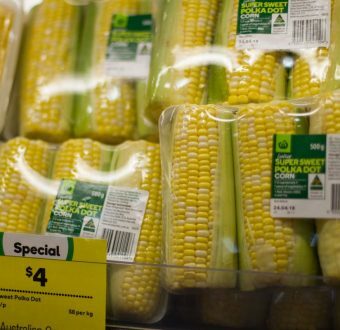 In response to the mounting public pressure, Woolworths held emergency talks with Kraft/Heinz, the owner of Greenseas, to quickly find a solution. Although Greenseas were the first to make a commitment to stop using these indiscriminate killers, they were the last major Australian canned tuna brand to actually follow through, so this is big news! Now, all the major Australian canned tuna brands are FAD-free. So, for everyone who took action at any point over the past 7 years to make the tuna industry more accountable and responsible, you should be really proud of what we’ve achieved together. Well done! We launched the first Greenpeace Canned Tuna Guide back in 2010 in response to the escalating overfishing crisis stripping our oceans clean and the lack of transparency tuna companies were showing about how the tuna ended up in their cans. Back then, some of the companies we spoke to didn’t even know which ocean their tuna came from, or sometimes what species of fish was in their cans! Terrifying! The Tuna Guide began to open up these companies to public scrutiny and it eventually set off a massive shift in the way they did business. Behind each new edition of the Tuna Guide is months of investigative work into each company. We work with them to verify their claims, to check where their tuna comes from and what fishing methods they use, to make sure their supply chains are free from human rights abuses, and to get them to do better. Armed with information, Australian people began to send a strong signal to the market that we were not going to support businesses engaging in unethical or environmentally destructive practices any longer. You wanted to know the nasty secrets of the global tuna industry, and together we’ve continually exposed the companies flying under the radar and doing the wrong thing by our oceans and the people who depend on them. One of the biggest problems with the global tuna industry is the continued use of FADs. Massive companies use FADs to lure in tuna because tuna stocks are continuing to decline and it’s getting harder to meet the growing demand. They do this to desperately maintain the status quo of a cheap, constant supply of tuna – despite the overwhelming warning signs that our oceans simply cannot sustain it. 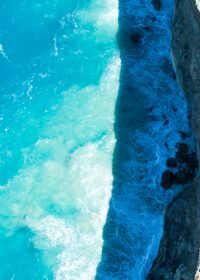 They also attract all kinds of marine life, they scoop it all up in a giant net, keep the tuna, and toss everything else back over – either dead or dying. It’s unacceptable. The Tuna Guide began as a way for Australians to make a more responsible choice at the checkout, but we didn’t think it should be left solely up to the consumer to make a more ethical choice. Australian people didn’t want premium lines of ‘sustainable’ tuna products, while the same dodgy practices continued in the cheaper brands and product lines. We wanted real change. You may remember back in 2012 when Greenpeace supporters took John West Australia to task over its continued use of FADs. 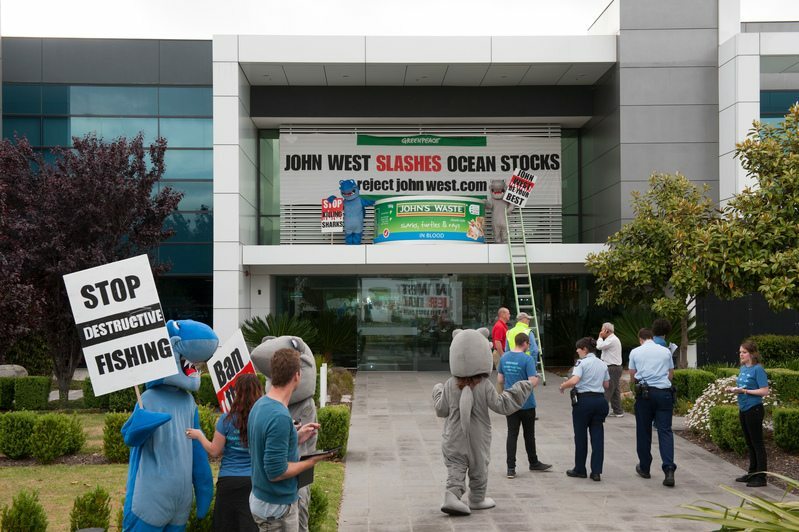 Greenpeace activists in sharks suits scaled the roof of the John West Australia headquarters, we spoofed their ads on TV, put up billboards and showed up at their corporate events. 20,000 people like you emailed the company demanding action. In just six weeks of public pressure, they folded and committed to stop using these destructive fishing methods. Now, John West Australia has implemented that commitment and made some other massive improvements to the way they do business. John West Australia are even competing with the other brands on their sustainability credentials for the top spot in our Guide. In fact, this year they’ve taken second place. What an improvement! The global tuna industry is rife with human rights abuses and destructive fishing practices. Globally, Greenpeace offices work together with the thousands of Greenpeace supporters around the world to bring about systematic change to the tuna industry because we know that change in one country alone will never be enough. 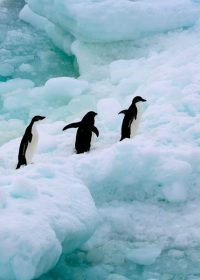 Now, Australian tuna companies are among the most responsible in the world on phasing out destructive fishing practices. This is a positive example for how we can win this battle on a global scale using people power. And we must. The work does not end here. We must continue to monitor tuna companies to make sure they keep their promises and to stop them from backsliding. We’ll continue to work with companies to make sure they keep their promises and challenge them publicly if they don’t. Around the world, there is even more work to do. Together, we’ve exposed massive companies like Thai Union for their human rights abuses and reprehensible environmental record and these are battles we can only win together. Check out the Turn the Tide report to learn more. 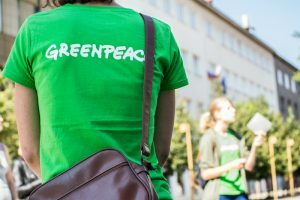 Greenpeace is fiercely independent so we can fearlessly confront companies that do the wrong thing by people and our planet. In fact, we don’t accept a cent from governments or corporations so we will never, ever be compromised in our work. That means that we’re 100% dependent on people like you to keep us going. In these trying times, it’s more important than ever to independently monitor and confront companies and governments to expose destructive, reckless practices that hurt people and the environment. The scale of environmental destruction occurring globally demands it. If you’d like to help us continue our work, click here to make a small contribution. We’d really appreciate it! This win is for all of us. So, take a bow! You’ve earned it. Also, if you haven’t checked out the Tuna Guide yet, click here to see how your favourite brand stacks up!